A few days back, new trademark filings suggested that Samsung may be updating the naming strategy of its Galaxy A series next year. But according to one industry insider, the South Korean brand may have modifications in the works for each and every one of its smartphone lineups. Commencing in the premium segment, recent reports claimed that Samsung would begin merging the Galaxy Note and Galaxy S lines due to the fact that there's very little that differentiates them. According to the newest information, though, the South Korean company may continue to raise the price of the Galaxy Note series in 2019 in the hope of further differentiating it from the Galaxy S line. This is reportedly due to the different customers that the two lines cater for – Galaxy S devices are typically aimed at regular consumers while Galaxy Note offerings are designed with business buyers in mind. Switching over to the brand’s low and mid-range offerings, it’s claimed that Samsung has something much more drastic planned. 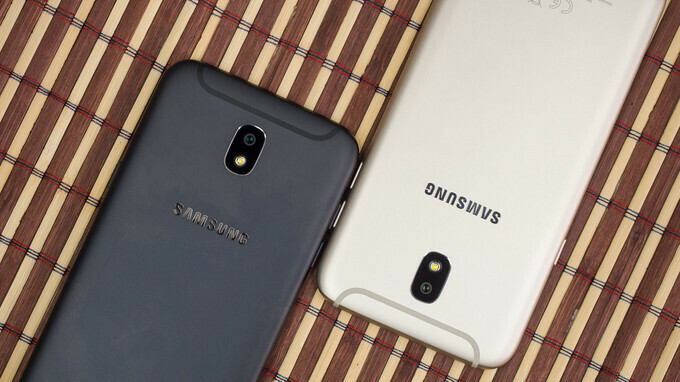 Rather than switching up the release strategy, the brand will reportedly scrap the Galaxy J series entirely. Additionally, the Galaxy C and Galaxy On lines which are sold in China and India respectively will also be done away with. It’s unclear exactly why the company may be choosing to do this, but it could potentially have something to do with the Galaxy R and Galaxy P series which are reportedly on the way. Doing away with the Galaxy J series seems like a pretty odd move at this point considering the recognition the name has built up over the years, so it’s worth taking the information with a grain of salt. However, with Samsung’s continuing to feel the pressure from its competition, the brand may have much bigger plans in the works that require a complete overhaul. No. They are just spamming their lineup further. They eventually will do again & again. The Big Mistakes From Samsung in her Phones are : 1) Disappointing batteries ( they last not even one day when the competitive models from other companies last at least 3 days). 2) Bloatware and Unwanted Apps. 3) Not good Camera in Her Budget phones and not good Display related with flagships. 4) overpriced phones ( we don;t want to pay for samsung Brand anymore, consumers are willing to pay for what they get, and not the compani's name) I hope Samsung will realised that and will correct it this year or else will continue to have low sales, As I had predicted will happend,for S9 Line Before this model was in the stores for sales. The same thing will happen again with samsung Galaxy S10 and the budget phones for the next year if samsung do not fix this stupit marketing model. Except for the S and Note lines, the rest of the Samsung phones are complete unknowns. With this re-shuffling, Samsung is finally acknowleging that its dominant days are over. Here come the Chinese!